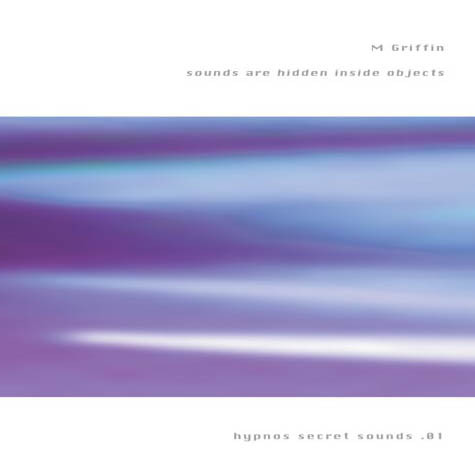 The first release on the new Hypnos Secret Sounds imprint, and the first solo music released by Hypnos founder Mike Griffin since Sudden Dark which was recorded in 1996. The deep and smooth drone minimalism of Sounds are Hidden Inside Objects will please those listeners who enjoy the glacial, psychoactive drift ambient and space music of Oophoi, Steve Roach, or Lustmord. Perhaps the closest comparison to previous Hypnos releases would be Oophoi's Athlit or Griffin's collaboration with A Produce, Altara. These four long tracks are designed to relax the listener while altering the mental state -- sort of like a sensory deprivation tank without all that salt water! 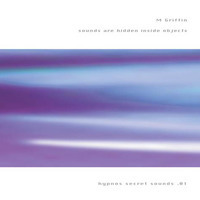 This release, like all on the Hypnos Secret sounds sub-label, is a hand-made CDR release strictly limited to 300 copies.